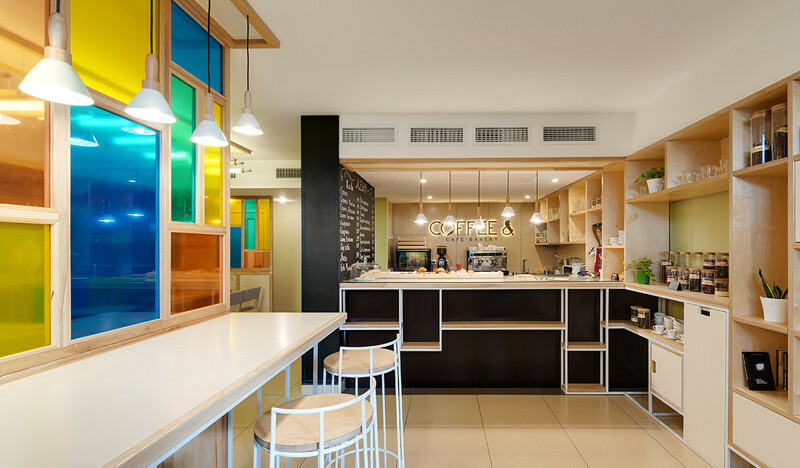 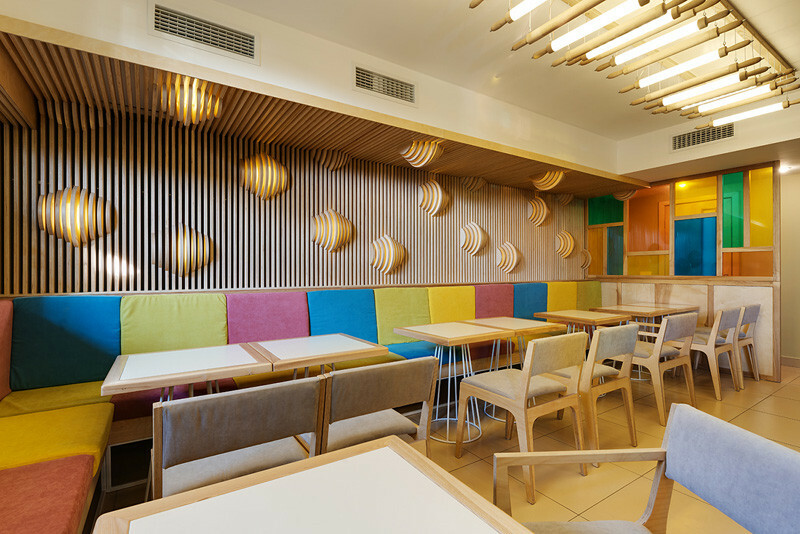 Brothers Aleksandr Yudin and Vladimir Yudin of YUDIN Design, have recently completed COFFEE &, a small cafe-bakery located in Kiev, Ukraine. 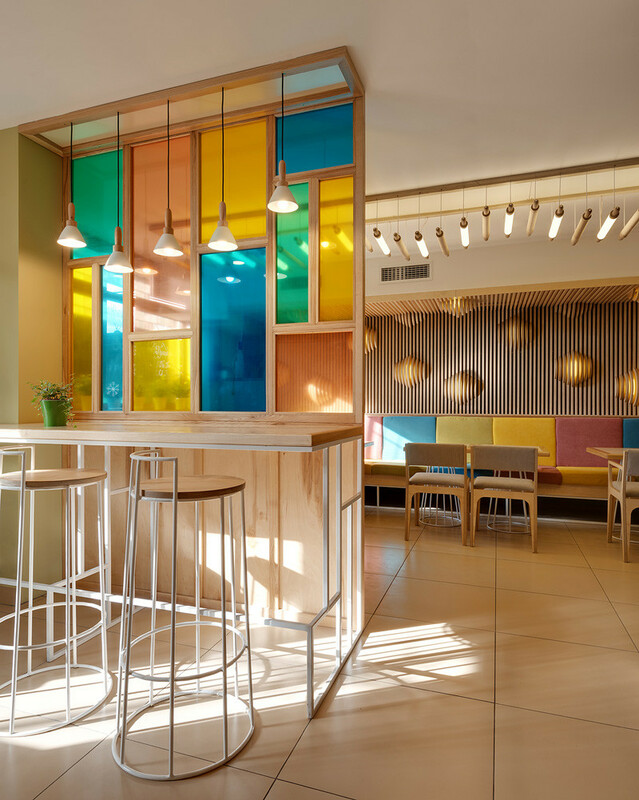 A colorful partition separates the entrance from the main cafe area. 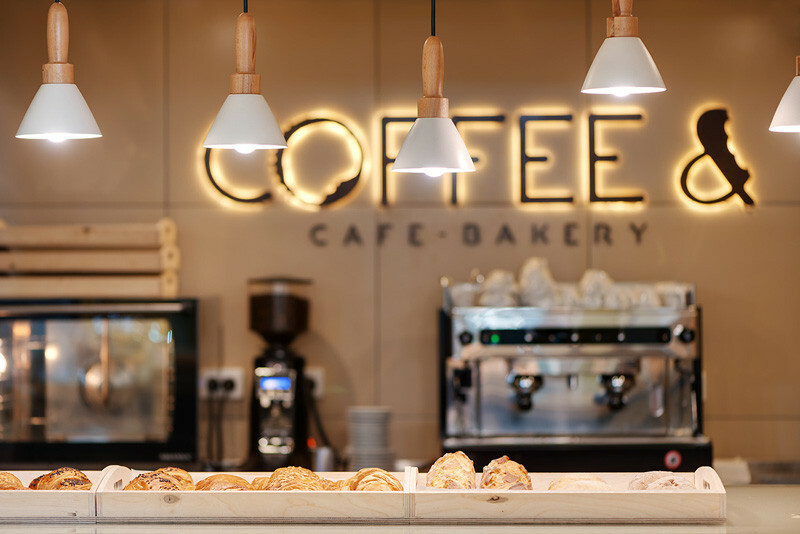 Touches of the bakery aspect of the cafe are included, like the rolling pin lights hanging from the ceiling. 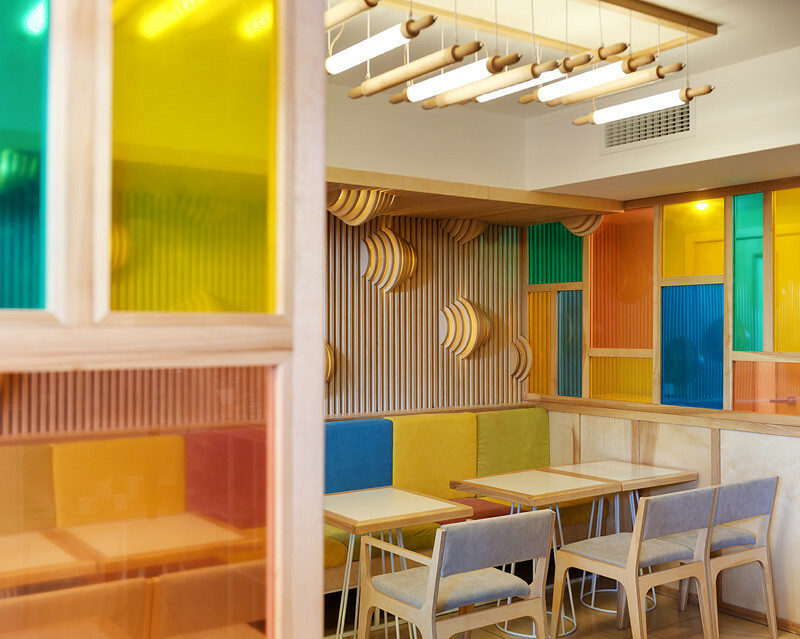 The upholstery matches the same colors in the glass partition. 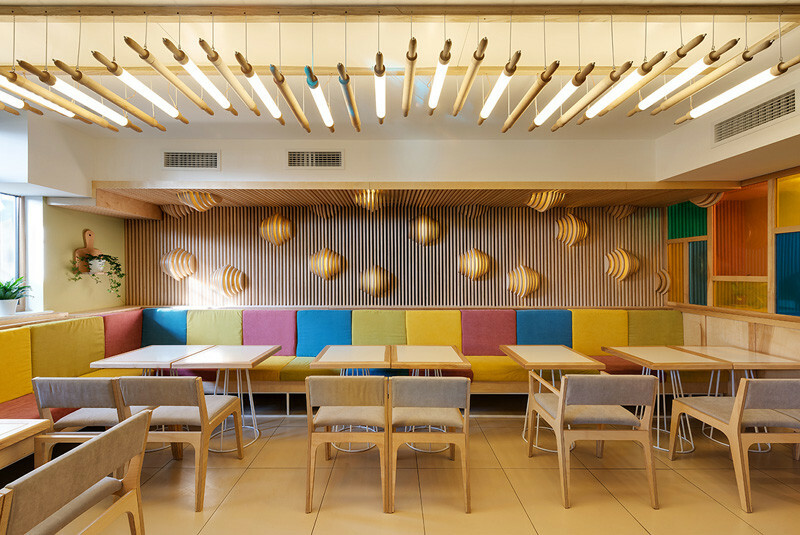 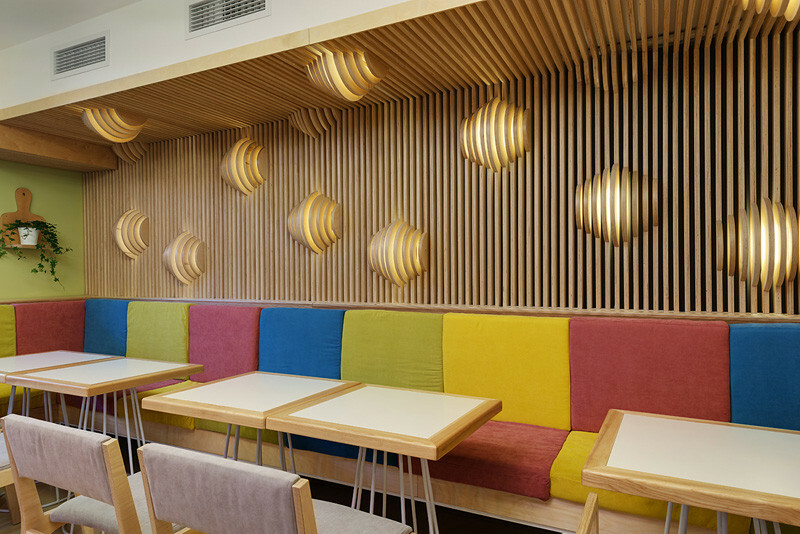 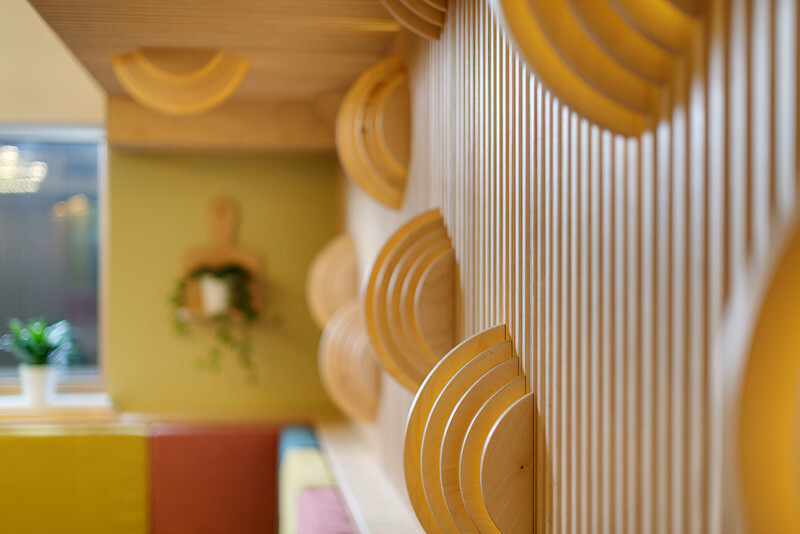 The plywood feature wall is home to ‘warm croissants’, that hide glowing LED lights. 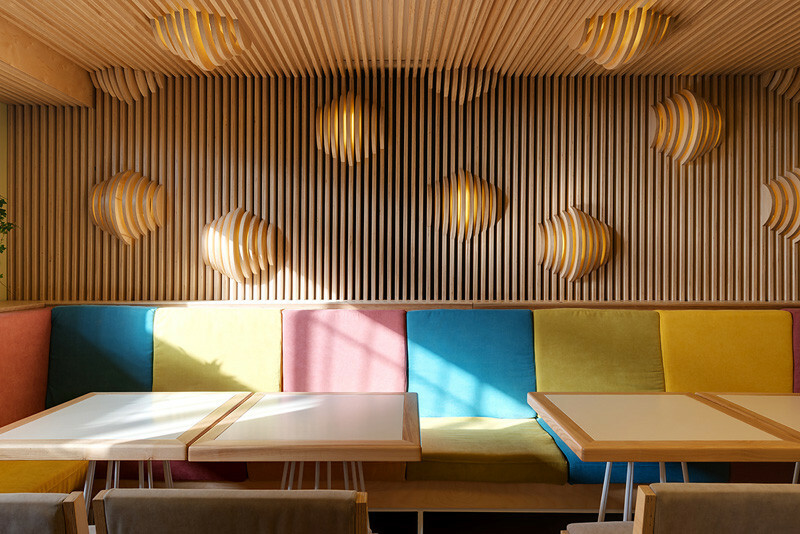 Here is a close-up look at the lights.